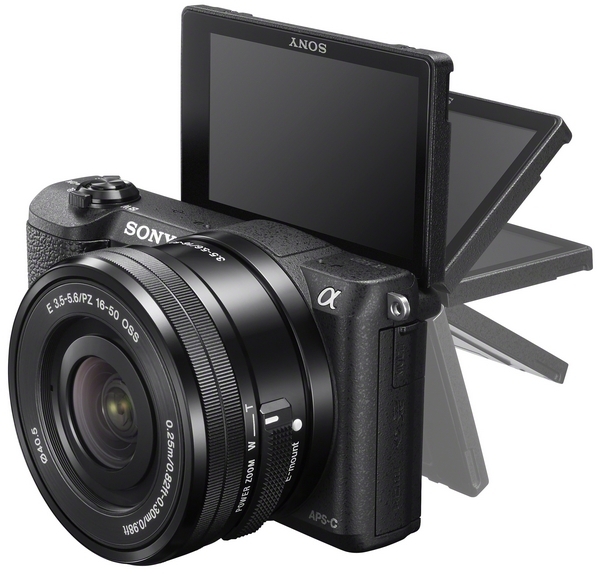 Sony’s first off the blocks for the Photokina news, with the NEX, err, I mean, Alpha a5100. It is basically an updated a5000 with the a6000’s guts. So that lovely 24 megapixel sensor with the 179 phase detection autofocus points is now available in a cheaper camera that also does selfies. There are also a bunch of other upgrades, such as a proper VGA resolution LCD at 3″ in size, a slightly higher continuous drive at 6 FPS, and like the recent Sony cameras, supports 1080p video at 60 FPS encoded with the 50mb/s XAVC-S codec. This is achieved with a full sensor readout too. Those are pretty serious specs at a lower price, starting at US$550 for the body or US$700 for the 16-50mm f/3.5-5.6 power zoom kit lens. There are a few things missing, like superb lenses for the E-mount, no EVF, and lack of microphone and headphone jacks, but it is still a pretty serious set of specifications. The a5100 is expected to arrive sometime in September. This entry was posted in Photography and Gear News and tagged alpha, mirrorless, nex, sony by Yuan Sheng. Bookmark the permalink.